The Service to begins with opening words that will set the theme of our worship together. They are drawn from many sources. 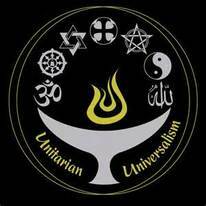 The lighting of the chalice is an important element or our Worship and is shared by all Unitarian Universalists. UUCLV is happy to have an energetic choir and a talented choir/music director. The congregation is fortunate to have many musician members and friends who share their talents and add inspiration during worship services. Children are always welcome at Sunday Services and the Worship has a section dedicated just for them. Children are invited to the front of the Worship Hall and are read a story keeping with the theme of the Sunday Service. You need not have to be a child to enjoy being read a good book or short story! At the conclusion of the story children are sung out to their religious education classes. Most weeks include a spoken prayer, followed by quiet time for centering. Sermons are typically delivered by UUCLV's Minister, Reverend Baker. Her sermons cover a wide variety of subjects drawn from both religious and secular sources. Occasionally, Services are presented by a guest speakers or from members within our own congregation. Regardless of who is giving the homily, we approach them as informative and spiritually uplifting. The Sunday morning offering is split between the ministries and programs of the congregation and a local nonprofit organization, whose values align with Unitarian Universalism, and is working for the common good. Our Worship Service often concludes with the congregation sharing in hands held together singing the hymn, Spirit of Life. Following the Service you are welcome to coffee, tea, a light lunch and conversation in the Social Hall in an adjoining room. Sunday Services begin at 10:30 am. UUCLV holds that "we need not think alike to love alike." If you have spiritual or religious questions and would like to hear from our Minister, please indicate that on the Contact Form to the right. ﻿Belief-O-Matic™ Quiz﻿ - Which Religion Fits You?